Delivering a meaningful strategy is far more than writing a polished document. If done well, people are fully-engaged and implementation is well underway by the time the strategic plan is online or in print. In 2010 I was appointed the Director, Intercultural Understanding Strategy Development for the University of British Columbia, where I led the development and implementation of UBC’s commitment to intercultural understanding. The development included a needs assessment, involving over 250 one-on-one interviews with faculty and staff, student focus groups and town halls. Relevant research included a literature review, a peer institution review, and consultations with local experts in community integration. The plan was rewritten six times to reflect feedback and input from UBC's president, the UBC Committee of Deans, executive leadership, academic Heads and Directors, and subject matter experts and scholars. Read UBC Intercultural Understanding Mid-Level Strategic Plan: The Intercultural Promise. 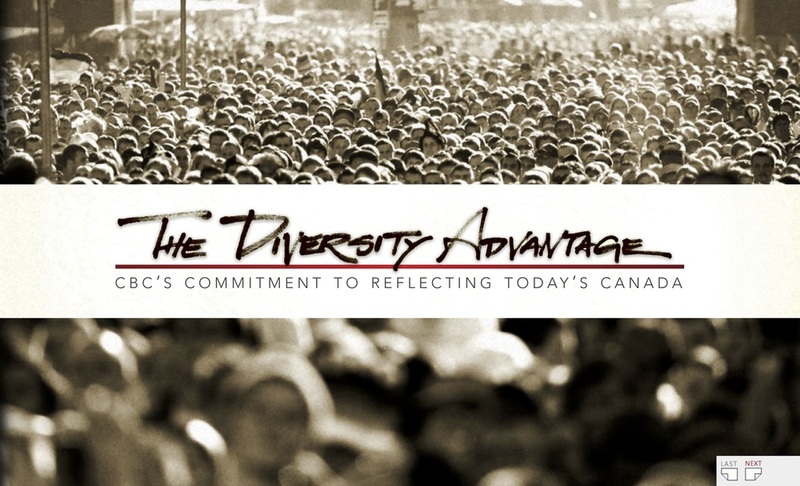 As Manager of Diversity Initiatives for CBC Television, I managed the national diversity and inclusion portfolio for the CBC Television Network, coordinating the implementation of over 300 diversity initiatives across Canada that advanced workplace equity and inclusion and media representation of women in leadership and technical roles, people with disabilities, racialized persons and Aboriginal People. I led the development of CBC's first cross-platform diversity strategic plan, which brought together television, radio, online and human resources, in partnership with the Canadian Media Guild. Longing for a break-through, perhaps to get past the nice-sounding language, or forced training that seems to go nowhere? If you want lasting culture change, you need a plan. Let me share the keys to activating your team, engaging your community and changing institutional habits.